The Ministry of Defence closed its UFO desk and hotline in a year during which reported sightings had trebled because it served "no defence purpose", it has been revealed. Declassified files, released on Friday by the National Archives, show that the MoD closed its UFO desk in 2009 because it any investigation into sightings "would be an inappropriate use of defence resources". The 25 files, which included 4,400 pages and cover the work carried out in the final two years of the MoD's UFO desk - from late 2007 until November 2009. 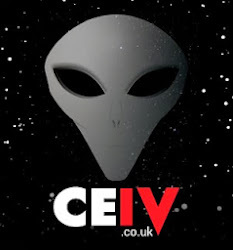 The include accounts of alleged abductions and contact with aliens, as well as UFO sightings near UK landmarks including the Houses of Parliament. Officials decided to close the "UFO hotline" as it was deemed to have no "defence benefit" and resources devoted too it where taking staff away from "more valuable defence-related activities". In a briefing to then defence secretary Bob Ainsworth in November 2009, Carl Mantell, of the RAF's Air Command, suggested the MoD should to reduce the UFO desk, "which is consuming increasing resource, but produces no valuable defence output". He said that, in more than 50 years, "no UFO sighting reported to (MoD) has ever revealed anything to suggest an extra-terrestrial presence or military threat to the UK". Officials also predicted a backlash from "ufologists" over the decision, noting they had "deliberately avoided formal approaches to other governments on the issue", amid fears of "international collaboration and conspiracy". An official MoD statement said: "The Ministry of Defence has no opinion on the existence or otherwise of extra-terrestrial life. However, in over 50 years, no UFO report has revealed any evidence of a potential threat to the United Kingdom. "The MoD has no specific capability for identifying the nature of such sightings. There is no defence benefit in such investigation and it would be an inappropriate use of defence resources." Commenting on the release of the files, Dr David Clarke, author of the book The UFO Files, said: "The last files from the UFO desk are now all in the public domain. "People at home can read them and draw their own conclusions about whether 'the truth' is in these files or still out there." Sightings recorded in the newly-released files include a letter from a school child asking for the truth about UFOs after she had seen some strange lights; a report via the UFO hotline by someone who had been "living with an alien" in Carlisle, and a man from Cardiff who a UFO abducted his dog, car and tent. There were also sightings of UFOs over the Houses of Parliament, Stonehenge and Blackpool Pier. The new UFO reporting digital desk will be overseen by UFO TODAY editor and former Director of Investigations for the British UFO Research Association, Philip Mantle.